This day is not about who is 'down the shore', or the biggest cook out you can throw. today we remember all those who have served, are serving, and their families. My brother was a Marine and even though I was young when he served and didn't realize the extent as to what he sacrificed, I still am very proud. Luckily during his tour of duty, he never experienced a war, however some are not that fortunate. So today while you celebrate this day with your families, stop for 10 seconds and take a look back and be grateful. You would not be celebrating being at the shore or in your back yard cook out without these men and women. Now, in case you don't know what to wear to those BBQ's today check out my post HERE . 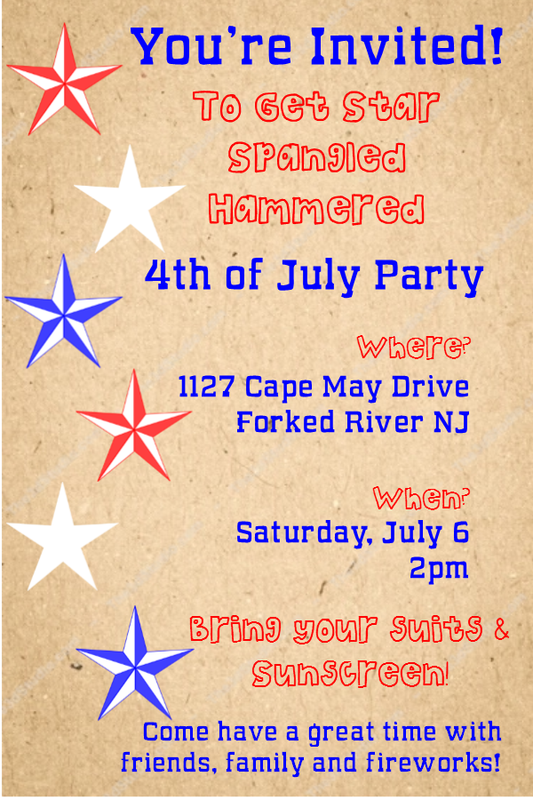 Also it is never to early to start thinking about Fourth of July! Order your Fourth of July invites today in my shop. Custom made to you party needs! Be sure to LIKE Ash's Party Accents on Facebook. Thanks dolls!